Kakata, Margibi County – GN Bank-Liberia as part of its decentralization plans has officially opened its Kakata City Branch in Margibi County with the announcement of the additional expected new banking services to its operations. 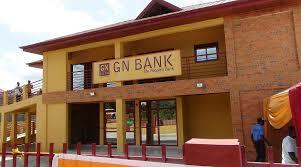 Joseph K. Anim, GN Bank-Liberia Managing Director revealed that the establishment and subsequent opening of the Kakata branch brings to ten the total number of main branches of GN Bank network, two cash centers and two cash outlets across Liberia. “By this integration today, the people of Kakata and its surrounds have been given a choice and advantage. We’re increasing the presence of banks in this city; we’re strengthening competition and providing you an opportunity for excellent customers’ service,” Mr. Anim narrated. Mr. Anim reminded the audience that there is no doubt that in these dynamic and challenging times with significant change in the banking industry in Liberia and the world, and indicating that even in these times, they are targeting the future from the position of unprecedented growth and group strength. He said that as they are growing across all lines of businesses in the group and investing in new technologies with the use of digital relations in the group with a goal to enhance their ability to serve their clients. The GN Bank-Liberia Managing Director announced that it is against such backdrop that the bank will soon be launching two majors’ additional new banking services to its operations including Mobile Banking Concept and Pay Global Service. Mr. Anim explained that the Mobile Banking Concept which is expected to be operated by young graduates will focus on introducing across the country mobile banking facilities in strategic locations in market centers and villages that have no access to banking institutions. He further that the Pay Global is an international mobile remittances and digital currency services provided by a close collaboration between GN Bank and GN Money. Mr. Anim speaking Friday, September 22, 2017 at the official opening ceremony of the Kakata branch of GN Bank in Margibi County revealed that the services to be provided by the Pay Global platform will be international money transfer, local money transfer, mobile money transfer and electronic or digital payment services. Additionally, he disclosed that these services and innovation will be provided in partnership with merchants and mobile money agents which will make it possible for customers to have easy access to global digital currieries that can be used for all forms of financial transactions internationally. He concluded that customers of these services will have access to a mobile application that provides total convenience in banking. For his part, Tarr N. Sackie, Margibi County Inspector on behalf of the local county administration expressed appreciation to the management of GN Bank for chosing Kakata its investment, promising to provide a security friendly environment to the bank to function without hinder. He, however, admonished members of the business community of Margibi County to make the outmost use of the bank and seek for loans opportunity.